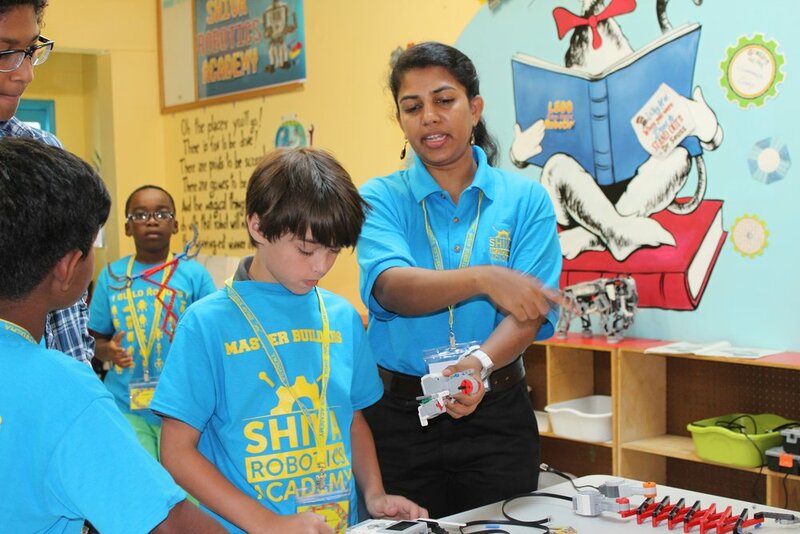 Kalai is the founder of Shiva Robotics Academy, a North Florida-based educational institution teaching K-8 students about science, technology, engineering and mathematics (STEM) through various hands-on activities. 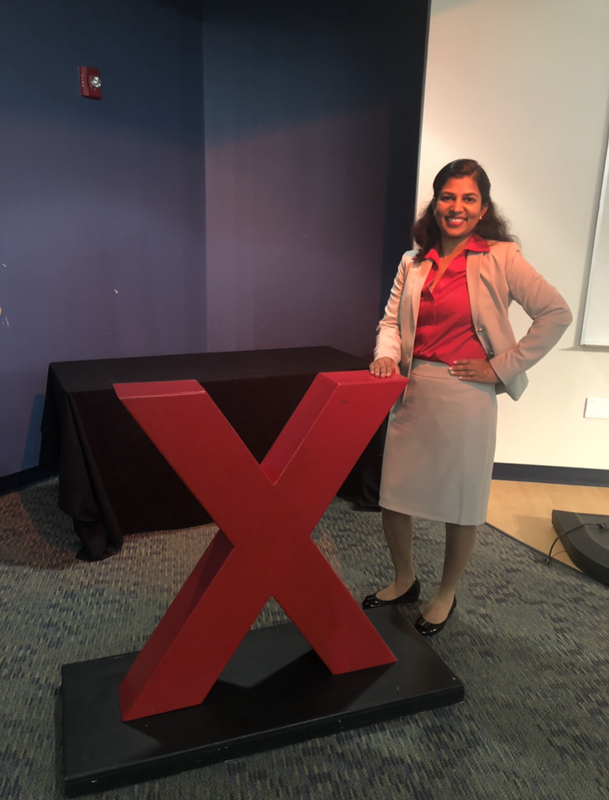 Shiva’s humble beginnings date back to Kalai’s need to keep her children engaged during extended school breaks, for which she filled the gap by creating robotics camps for her daughters and their friends. In a field so saturated with men, Kalai is working hard to pave the way for a new generation of women — from children to fellow mothers — to take the stage. ﻿Babe you admire and why? Michelle Obama for her clarity of thought. I spend my free time with my family, doing yoga or at the beach. 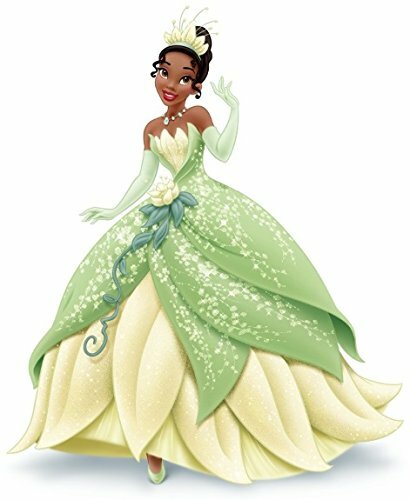 I like Tiana from “The Princess and the Frog,” as she aspires to be an entrepreneur as well. I love creative writing. I have written several poems and short stories, even in my school days. I would love to have coffee with Barack Obama. He seems so cool. He makes everyone feel so comfortable. I would love to ask him how he managed his time so efficiently and did so much good for all the people during his presidency. I use Excel spreadsheets extensively. I use spreadsheets not just to track my finances, but also to track habits. I jot down all data, make graphs and carefully analyse the records. That has helped to make amazing progress at a very rapid pace. I strongly believe, something which you cannot measure, you cannot improve. I have set screen time limit for every app on my phone. That helps me remember not to get carried away on social media. I am the founder of Shiva Robotics Academy, an educational institution that teaches students in grades K-8 about science, technology, engineering and mathematics through various hands-on activities. We follow LEGO curriculum-based learning, to make education fun for students. Students design, build and program LEGO robots. When the students see their ideas from paper to a tangible functional robotic model, they get fascinated. I see a sense of power, accomplishment and ownership in the eyes of the students when they behold their first robot move. The thrill of watching it every day of my career is my daily dose of motivation. My typical workday encompasses conducting robotics classes/workshops in various schools and youth organizations. I schedule field trips, robotics-themed birthday parties and spring/summer/winter camps. I make sure I personally greet every student, staff and parent who comes to Shiva Robotics Academy. I have engaging conversation with the students. They share their moments with me and that helps me to understand them better. Have you always had STEM-related interests, as well as interests in education and working with children? Yes. I think it stems from all the educational toys, puzzles and games my parents bought for me and my brother. My mom would personally spend so much quality time with us playing Carrom, Scrabble and board games. She would read children’s books and newspapers for us. I grew up with so many cousins; we all had so much fun growing up. I am reliving my childhood, through structured play activities with my students. During summer camp, we do water balloon fights, bake cookies, clay modelling, chalk art, etc. These activities are truly inspired from my own childhood memories. With the advancement of technology, we also do drone obstacle courses, robotic mazes, sumo wrestling robots. During my college days, I did tutoring for younger students. I always loved teaching—sharing what I know, with my fellow students. That quality is helping me excel in the education field today. What inspired Shiva Robotics Academy? Necessity is the mother of invention. I was a very active home executive for a very long time. (Yes, I refused to call myself “housewife” or “stay-at-home mom.”) I understood that my little girls needed my nurturing and had so much fun mothering them full-time and blogging about my experiences. I would do small part-time jobs from home. But the moment I got a full-time job, I realized there were not many places to drop the children full-time, where their minds are engaged and entertained during school break. My daughters were learning robotics during weekends at that time. So, I started conducting robotics camp during school break, for a full day, to spend the time with my daughters and their friends usefully. What started from my living room initially with five students, has today grown to a robotics academy, which has its program in 22 different public schools and multiple counties in Northeast Florida. [...] We train students to take part in competitive robotics. Our students have competed in world robotics championships and international robotics olympiads. My vision was to incorporate the entire progression of robotics program, from preschool to high school. We teach DUPLO LEGO building for kindergarteners, to metal robot building for middle and high schoolers. The students love to complete one level and look forward to progressing to the next level of excellence. What did your hustle look like before Shiva Robotics? Before Shiva Robotics, I spent my spare time choreographing for dance programs. My dance group has performed in Night of Asia, World of Nations and several regional events. Dance choreography led me to aerobics workout and yoga. I became an Aerobics and Fitness Association of America certified fitness instructor and conducted group aerobic exercise classes for Indian music. I named the routine Bollybic; it became an instant hit. I was teaching in several YMCAs, corporate offices like Florida Blue, Medtronics, clubhouses and even in my garage. I made the workout routines very innovative by choreographing cardio workout moves for upbeat Indian songs. I used resistance bands, dumbells, kettlebells, Bosu balls and stability balls for full body workout. I even choreographed dance programs for weddings and birthday parties. Being a mother prepared me mentally and emotionally for my career today. Being a fitness instructor gave me immense stamina to be teacher today. Being a computer science graduate gave me ingenious skills to understand programming. My biggest career milestone is winning the 40 Under 40 Award from Jacksonville Business Journal. I have always admired the winners of this award every year. I always look up to them. Young achievers always fascinate me. Getting this award was one of my dreams come true. Of course, when I saw the Forbes 30 Under 30 award winners recently, it was all the more remarkable. However, I consider 40 Under 40 to be my biggest career milestone, as far as my career growth is concerned. I am not 40 yet! This award makes me look forward to 40 in a couple of years, with so much more hope, without the despair of aging. Being a woman has made me so nurturing, caring, extremely patient and humble, naturally. There are not many other female robotics coaches. To change the future, I train fellow moms (free of charge) to become robotics coaches. We conduct monthly sessions. So many mothers who took up our free classes are placed in well-paying jobs today. They are making a profound impact in the lives of young minds. I am so proud [to know] I could play my little role to change my niche. What do you think needs to change for more girls and women to pursue careers in STEM? More scholarships should be given exclusively for girls and women to learn science and technology. When a robotics program is made available by schools, more girls attend the program. But when parents have to pay for the program, we get lot of participation from boys—but not girls. This is due to gender stereotyping and preconceived notions in the minds of parents. They think science, technology, robot building, coding and aviation are for boys. They think dance, cheerleading, gymnastics, beauty pageants, tea parties and spa treatments are for girls. By providing more scholarships from corporations, girls will get the necessary exposure to STEM activities. Shiva Robotics aids this change by providing merit-based scholarships to girls to attend space camp in Huntsville, Ala. and to attend flight training sessions conducted by Holladay Aviation. Are there any female-specific challenges you face in your work? I have faced a lot of female-specific challenges in my work. Though I attribute all my success to my own hard work and passion, sexual misconduct was the catalyst. It triggered me to burn myself with passion to achieve greatness. It happens at the most vulnerable times. At one point, it made me lose trust with everyone around me. I realized every woman should be mentally, physically, emotionally and financially strong, to face the world with courage. I equipped myself with self-defense classes, yoga, strong friendships and income stability. I feel a lot more empowered today than five years ago. I won the Women Empowered Award from Jacksonville Magazine. This female-specific victory made me feel very strong, inside out. I would say 8:2 would be the ratio of men to women in the robotics education field. I see it evolving. It’s definitely getting better. More girls are learning technology today. The partnership of Shiva Robotics Academy with Girls Scouts of Gateway Council helped to introduce robotics to hundreds of girls this year. This is a very positive and welcome change. Shiva Robotics Academy is right now housed in a building which is 3,400 square feet, with a very big playground. Upkeep of the facility is one of our biggest obstacles. We changed the roof entirely, took care of a sudden pipe burst, did re-plumbing for the entire facility, changed flooring, did exterior painting, electrician work, etc. All these needs require so much time, energy and money. We face it with a brave face. Are you involved with any other side projects? I love dancing, and teach Indian dance on Sundays. I write robotics books and self-publish them as eBooks on Amazon. I actively volunteer at Isha Inner Institute at McMinnville, Tenn. I donate part of our proceedings to Isha Vidya for education for underprivileged kids in India. I look up to Lisa Lovelace. She is the head referee for robotics tournaments. She volunteers countless hours. She has been active in robotics for more than 20 years now. What does your approach to work-life balance look like? Meditation helps. I try to eat lot of home-cooked, balanced meals. I love to stroll on the beach with my family. Salty + sandy = happy. The open sky, the nonstop waves, sound of waves, kids building sand castles, seagulls, far away ships, footprints, wind in the face, my husband holding my hands—these unplug me. Come on babes, you can do it. The most difficult step to take is just the very first step. Once you overcome the fear and take it, everything else falls in place. Once you take that step, the rest is a glorious ride. You will live your life to the fullest. Every day will become a new learning opportunity. You will for sure hit that zen mode, where winning or losing doesn't matter anymore. You will be grateful to yourself every single day for taking that first step. Drop you email address below for all the babely updates!